Yesterday we delved into useful strategies to model reading comprehension. Today we are going to explore some of my favorite books to use when modeling each strategy. Let’s get started. Full Disclosure: This post contains affiliate links. It is so important to find books that you really connect with when modeling this strategy. It’s pretty hard to have a text-to-self connection with a story when you have no background knowledge (schema) for the text. These are some texts that I like to use because I do have a connection with them. 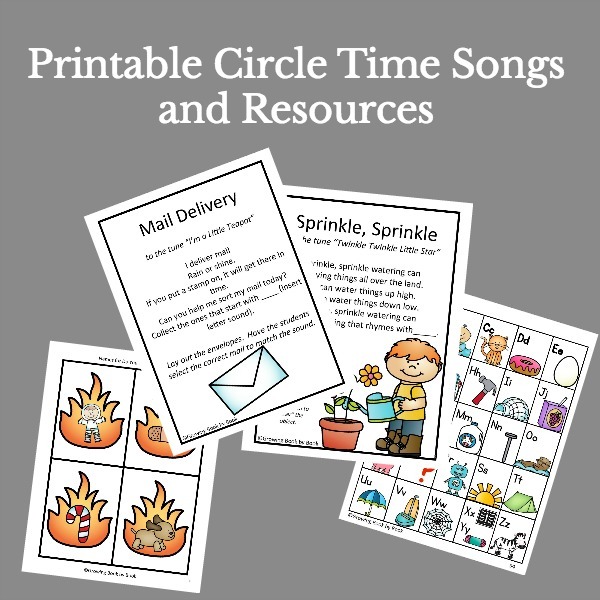 When selecting texts for this strategy, you want to select authors who do a great job at crafting visual images. Look for juicy descriptive words that describe both the setting and the characters. *Note- I don’t like to use either of these books if the child has already seen a movie version of the story. Texts for this strategy need to have a meaty problem/solution or a deep meaning to generate lots of good questions. Non-fiction texts work really well with this strategy. I love to use kid’s magazine articles for determing importance. My favorite magazines include Ranger Rick, National Geographic for Kids and Sports Illustrated for Kids. Don’t be afraid to use wordless books when introducing this strategy regardless of the age of the learner. Any of the Carl books by Alexandra Day which are wordless books. Wordless books are great for teaching inferring. 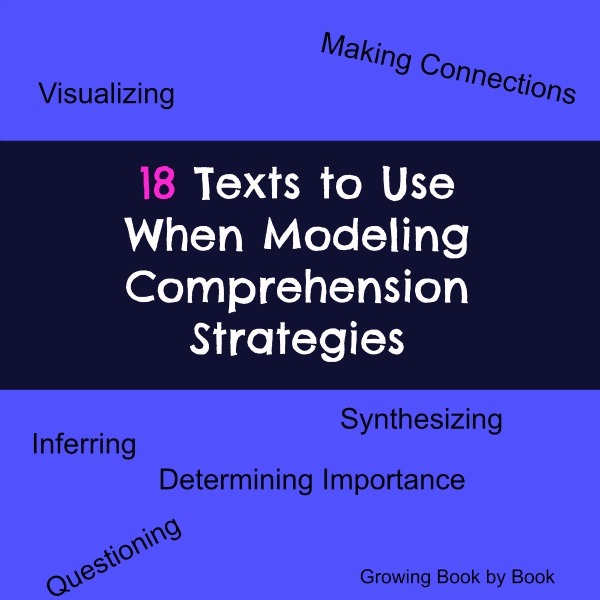 Texts that really make you think or where your thinking changes over the course of the text work best for modeling this sophisticated strategy. P.S. 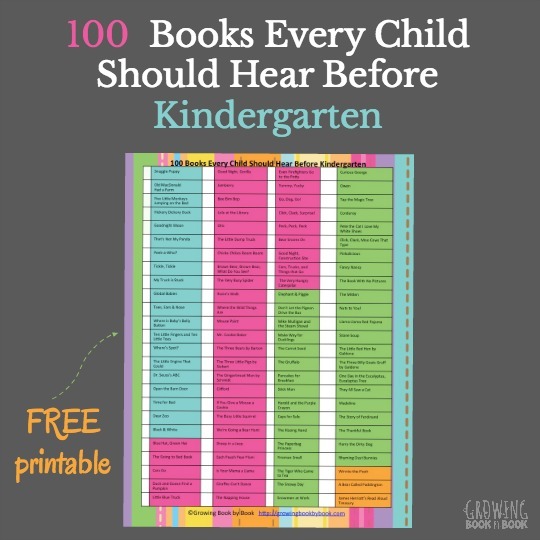 Don’t miss any of our great book lists or literacy tips! Sign up for our FREE newsletter. Wonderful list! I love the descriptions under each strategy so I can look for other books to teach that strategy as well. Thanks for sharing. Knuffle bunny illustrations are amazing and the story is very relateable to young kids. I hadn’t really thought about reading on this level – still teaching my littles to read – but this is great food for thought. Thanks for sharing with the Afterschool Blog Hop! Again another interesting post. Liked your book selections to illustrate your points. 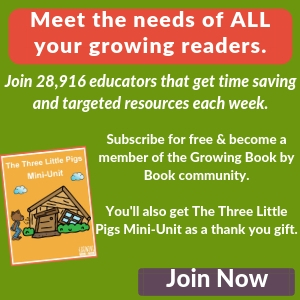 Love Patricia Polacco’s Pink and Say, Judi Barret’s Cloudy with a Chance of Meatballs, and tne Jon Scieszka’s The True Story of the Three Little Pigs. There are a few I’m not familiar with, but so many have stood the test of time. Pat, Patricia Polacco is one of my favorite authors. I use her books for countless writing mini-lessons. She is great at using descriptive words. 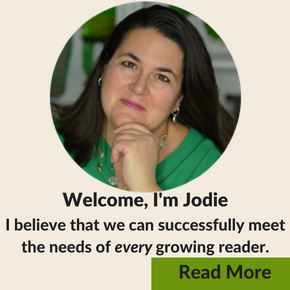 Jodie, she’s one of my favorite authors. Back in the 90 she did many book tours to Dayton. When she wrote the Keeping Quilt, she brought the original quilt along with her and used it to tell the story to kids and showed the many she used it as a child. The kids got to touch it. My daughter has many of her books packed away in boxes. Loved Thunder Cake — my daughter loved to make the recipe. Her writing style was a bit different, as I review her books again. Thank you so much for the feature. I always find so many great ideas on your blog.